I have visited many of the major U.S. National Parks, but I have to say that Yosemite National Park will always hold a special place in my heart. It may be because I have many childhood through current memories here but it is also because of its exquisite beauty. Whenever I enter into the park, it never fails to take my breath away. One of Yosemite’s iconic views is entering through the South Gate and driving up to Tunnel View (below) which offers a breathtaking moment. It’s a must-stop photo-op to capture Yosemite’s most famous scenery ~ El Capitan, Half Dome and Bridalveil Fall. Once you arrive at the Valley Floor, the wonder of this park only becomes more awe-inspiring. The slide show below gives you a glimpse of the extraordinary beauty of this park. All this beauty is breathtaking and then you arrive at the crème de la crème…the Ahwhanee Hotel. The rich history, gorgeous architecture and warm furnishings and feeling this lodge exudes brings me and everyone who enters it such pleasure! Click on any image to enlarge. 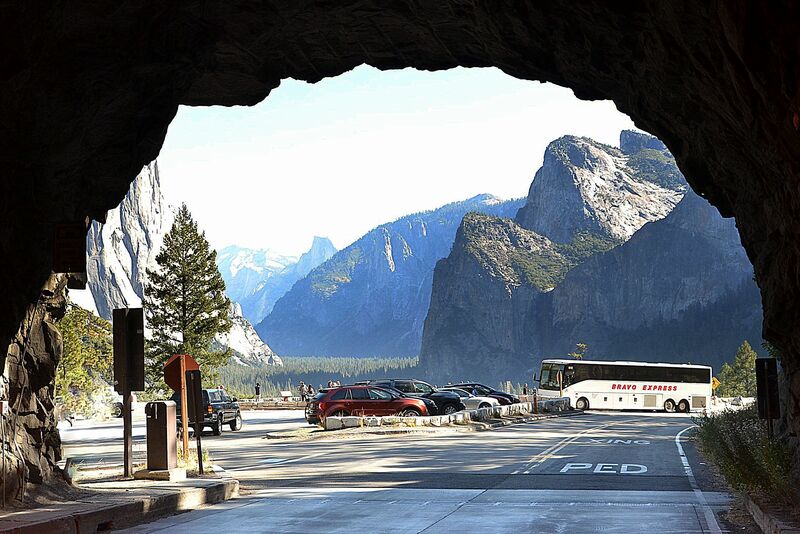 A visit to Yosemite Park is a must! This natural wonder of the world is should not be missed. When we visited Yosemite we went into the hotel for a look – didn’t stay but looked lovely. I have stayed there once and to be honest, the rooms aren’t anything special, but I love having lunch in that beautiful dining room. There’s just something about the whole lodge that I love though, I think it’s the history of it. Your pictures are amazing (for the entire website) and your narrative so enlightening! One actually feels like they are on the journey with you. Well done!